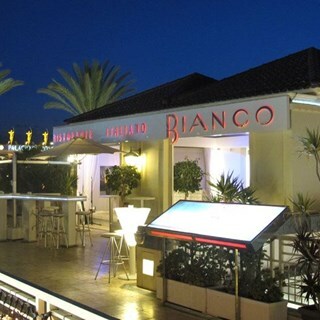 Enjoy eating out with fine Italian food and a fun atmosphere in the über cool Bianco Restaurant in Playa de Las Américas. Constantly buzzing with diners, the contemporary décor and lively atmosphere of Bianco Restaurant attracts those who enjoy excellent Italian food in trendy surroundings. With a superb private dining room which caters for up to 75 people, Bianco restaurant also offers the best Tenerife party venue for wedding receptions, corporate events and holiday nights out with live music from some of the island’s most respected musicians. 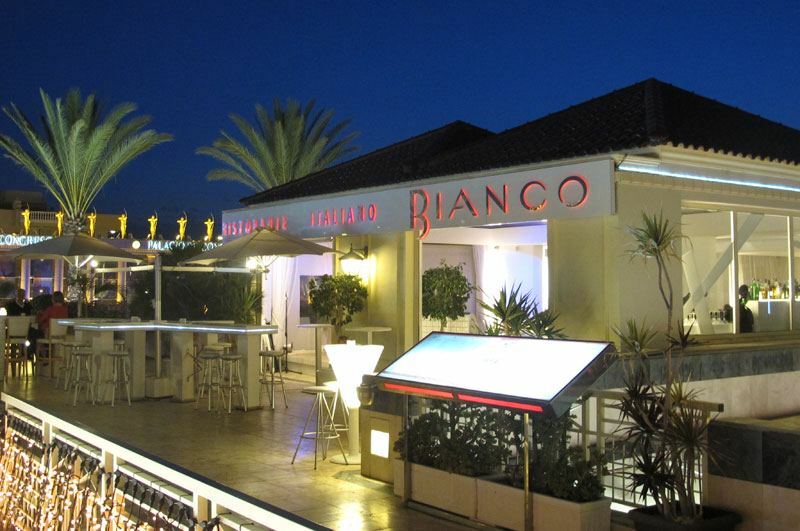 One of Tenerife’s best loved, modern restaurants in the heart of Playa de Las Américas, Bianco Restaurant is the place to come for first rate Italian dining in style. Absolutely loved the Bianco, the food was perfect with ideal size portions, I hate leaving food, every bit was eaten, the service was also excellent we will DEFINITELY be booking again. Perfect meal at Bianco's Tenerife! Excellent service, delicious food (chocolate fondant was amazing!) lovely singer and all in a modern stylish setting. Would definitely visit again. Great service fantastic good one our favourites in Tenerife. Amazing! Lovely food lovely place. Absolutely fantastic food. Beautiful restaurant and the staff could not have done anymore for us. Made a hen party extra special. Also value for money was excellent. Reasonably priced for great quality. Ian is a fantastic Manager, first class hospitality, and the food and drink and service is top class. We had such a great time and very happy with the food, service and staff. Fab food, staff and atmosphere. Would highly recommend. Fab evening n great service by all especially as I accidentally dropped my napkin n a hansom waiter came n gave me a new one without me asking .. all these little extra make a great eve.. sorry I asked his name but I forgot as the cocktails were amazing !! Amazing food with very helpful and friendly staff. Also the best cocktail maker in Tenerife served us the most delicious cocktails! Been visiting since the restaurant first opened, quality and service has never faltered.